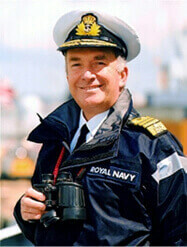 The Patron of the Merchant Navy Honours Consultative Committee is Admiral The Right Honourable Lord West of Spithead. Born 1948, Admiral Lord West joined the Navy in 1965. He spent the majority of his naval career at sea, serving in fourteen different ships and commanding three of them. He is a graduate of the Royal Naval Staff Course, the Higher Command and Staff Course and The Royal College of Defence Studies. In 1980 he took command of the frigate HMS ARDENT taking her south to the Falkland Islands in 1982 where she was sunk in their successful recapture. He was subsequently awarded the Distinguished Service Cross for his part in the action and led the Victory Parade through the City of London. He has held several appointments in the Ministry of Defence in the Plans, Programmes and Policy areas plus three years as head of Naval Intelligence and three years as Chief of Defence Intelligence covering the Kosovo War. He was promoted to Admiral in November 2000 when he became Commander-in-Chief Fleet, Nato Commander-in-Chief East Atlantic and Nato Commander Allied Naval Forces North. He led the United Kingdom's maritime response to 9/11 including the invasion of Afghanistan. He produced the United Kingdom's first ever National Security Strategy and Cyber Security strategy as well as formulating a series of other groundbreaking strategies: the counter-terrorist policy (Contest 2); cyber security; CBRN (Chemical Biological Radiological and Nuclear; science and technology for countering international terrorism; guidance for local government in enhancing the security of crowded places. He was Chairman of The National Security Forum. He left government in May 2010 and is currently a strategic advisor to a number of small companies, a motivational speaker, Chancellor of Southampton Solent University, Naval Trustee of the Imperial War Museum, Chairman of the Cadet Vocational Qualification Organisation plus a number of other appointments. He is much sought after to advise on strategic risk. 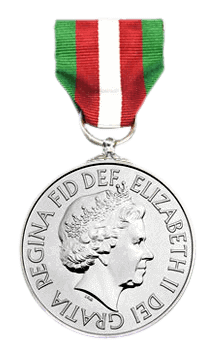 Lord West was made a Knight Commander of the Order of The Bath in 2000, Knight Grand Cross in 2004, Baron in 2007 and a Privy Councillor in 2010.